America's digital adversaries may have spent years eavesdropping on officials' private phone conversations through vulnerabilities in the global cell phone network, according to security experts. A recent "60 Minutes" segment displayed the extent of the weakness, spurring government into action this week. Federal agencies vowed to investigate and Capitol Hill has begun looking into the issue. "I would be flabbergasted if these foreign governments were not monitoring large numbers of American officials on their cell phones," Rep. Ted Lieu (D-Calif.) told The Hill. Lieu, who hold's a bachelor's degree in computer science, offered up his phone to German computer scientist Karsten Nohl to test the extent of the vulnerability on "60 Minutes." Hackers were able to record Lieu's calls, view his contacts and monitor his movements, armed with just the Los Angeles Democrat's phone number. Despite the government's pledges to rectify the problem, Lieu and security researchers insist officials have lost valuable time. For instance, he said, "I am still dumbfounded as to why I have yet to see an alert go out to members of Congress." "The SS7 network was never designed to be secure," explained Les Goldsmith, a researcher with Las Vegas security firm ESD. "It was originally a cable in Europe. It had no encryption." But SS7 serves a vital purpose. The network helps keep calls connected as users bounce from cell tower to cell tower, and routes text messages to their final location. It's also how people get service when they travel to another country, outside the reach of their normal carrier. That means virtually every cell phone network is interconnected, allowing hackers to potentially tap any phone, regardless of location. Lieu's phone, for example, was infiltrated from Germany. "The smallest carrier in the Middle East … can actually reach into AT&T and Verizon's network," said Christopher Soghoian, principal technologist for the American Civil Liberties Union (ACLU). The system's shortcomings are not news to many security researchers and even to some government officials. Goldsmith spoke about SS7 vulnerabilities at an industry conference last month, and his firm, ESD, has been briefing governments and telecom carriers on the issue since January of 2015. The first rumblings of the weaknesses appeared in 2010, Soghoian said. ESD tests carriers' networks to determine the extent of malicious SS7 tracking. One European telecom carrier, Goldsmith said, had one third of its subscriber base being monitored. He suspects a nation state was behind the snooping. At a House hearing this week, Lieu pressed a top Department of Homeland Security (DHS) cyber official, Andy Ozment, on whether his agency was aware of these SS7 flaws. Ozment said the DHS had known about the issue since 2014, but could only warn telecom companies about the dangers since the DHS is not a regulatory agency. After the "60 Minutes report," the Federal Communications Commission (FCC), which does regulate the telecom industry, did announce it would examine the SS7 security concerns. Soghoian is doubtful the investigation will produce meaningful outcomes. The FCC has made similar pledges previously, he said, and told the ACLU in a meeting last year that it was open to a sit-down with the German researcher from the "60 Minutes" segment. But Soghoian said the agency has since dragged its feet on setting up such a briefing. In a statement, FCC spokeswoman Kim Hart said the agency had simply decided to refer the SS7 investigation to an FCC-affiliated council composed of industry leaders and federal officials. That group will offer the FCC recommendations on how it can protect cell phone networks from SS7-related spying, Hart added. Still, Soghoian feels the FCC "is basically asleep at the wheel." Not because of "ineptitude," he said, but because of "conflicting missions." 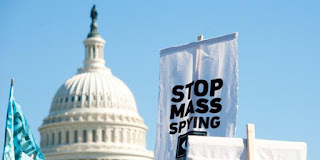 The agency is tasked with securing phone networks, but is also under pressure from law enforcement and the intelligence community to preserve America's ability to exploit SS7 for its own surveillance efforts, Soghoian said. Soghoian pointed to SS7 references in documents leaked by former government contractor Edward Snowden that indicate the National Security Agency has likely used the flaws to its benefit. "This is a problem that needs to be solved and I suspect will only be solved through congressional attention," Soghoian said. At least two House committees are considering launching investigations. Lieu pressed his House Oversight Committee to look into the matter, and Rep. Greg Walden (R-Ore.), who chairs a key technology subcommittee, told The Hill he was also being "briefed up" on the issue. But the SS7 flaws are still at the periphery for many Congressional cybersecurity leaders. Several key cyber lawmakers acknowledged to The Hill this week that the topic was either low on the priority list or something they were not yet aware of. John Marinho, the vice president of cybersecurity and technology for CTIA, an industry group representing wireless communications firms, said hackers need "extraordinary access" to get into the SS7 system. "That is the equivalent of giving a thief the keys to your house; that is not representative of how U.S. wireless operators secure and protect their networks," he said. Lieu called the response "bizarre." "The notion that somehow this flaw is not a big deal because … your average hacker might not be able to access it?" Lieu said. "That's just a ludicrous response." Lieu and other privacy advocates like Soghoian want the government to push for officials and members of Congress to adopt end-to-end encrypted chatting apps, such as WhatsApp, which only allow the sender and receiver of a message to see the content. Numerous apps also allow for encrypted phone conversations. These solutions would prevent much of the SS7 eavesdropping, although they would still leave GPS data exposed. "After I watched the '60 Minutes' episode," Lieu said, "I went and downloaded WhatsApp," adding that he had encouraged others to do the same. "Now I do text messages to the extent possible on WhatsApp." Many US gov agencies force employees to regularly change passwords, even though experts recommend against it. Technology has brought great advances and conveniences, but it also comes with the cost of privacy. You;ve seen many examples in the news. The NSA has been caught spying on German chancellor Angela Merkel and her closest advisers for years. WikiLeaks co-founder Julian Assange says the NSA intercepts 98 percent of South American communications. Youfd fight for free speech if anyone threatened to take it away. Yet ISPs, technology companies, and the government are all threatening to take away our privacy, and wefre standing by and letting it happen. Even if you have nothing incriminating to hide, you still have sensitive information on the internet, and the right to privacy. Here are some of the organizations that are spying on you, and some of the simple steps you can take to protect yourself and your information. 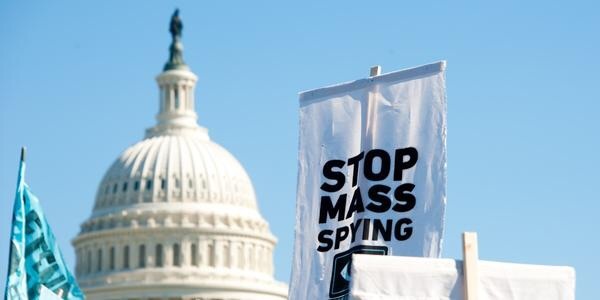 Few organizations have caught as much of the spotlight as the National Security Agency (NSA). But even outside of the States, many governments have their own version of the NSA. Together with the NSA, they form the Five Eyes alliance. These government organizations regularly collaborate on spy programs with silly code names, but their work is no laughing matter. The government can call upon technology companies to learn about you. Although technology companies wouldnft want to rat out their own customers, they may simply have no choice. Yahoo CEO Marissa Mayer said executives faced jail if they revealed government secrets. Google has even made a petition for greater transparency. So technology companies are forced to work with the government. Yahoo has complied with government requests for information. Google snuck code into advertisements that would install tracking cookies into usersf devices without their knowledge. Through Android, Google knows nearly every Wi-Fi password in the world. Both Apple and Google track your phonefs movements with location-based services. Google scans your emails in order to serve you more relevant advertisements. Apple stores your iMessages. Dropbox reads your files. As if jail wasnft compelling enough, the government is also rumored to spy on technology companies. Even if you have nothing to hide, you have the right to your privacy. Herefs how you can protect your data from prying eyes. How can you protect ourselves from people spying on you? Surveillance organizations and technology companies have both time and money. That means yes, they could hack into your computer if they were specifically targeting you. However, itfs unlikely theyfd dedicate their resources to zero in on the average citizen. It would cost them too much time and money if they scaled that up across the board. Imagine if every citizen made it more difficult (and therefore expensive) for these organizations to spy on them. It would become more expensive for these programs to keep an eye on everyone. That would make it more difficult for them to keep a close eye on the majority of people. 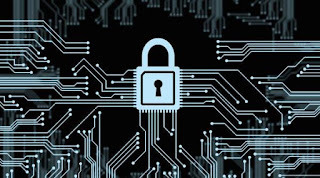 A simple, but fundamental, step to privacy is to encrypt your data. Whether itfs the government or some hacker spying on you, encryption makes your information way harder to read. Encryption codes the information thatfs transferred between you and the website youfre visiting. Any prying eyes (e.g., the government, hackers, etc.) have to put more time and energy into decoding the encrypted information before they can read it. The next time you use your Web browser, have a look at the URL bar. You can tell your communication with a website is encrypted when therefs a green padlock and an ghttps://h preceding the website address. Although many sites support HTTPS, some of them may not enable it by default (keeping you on an unencrypted http:// connection). Use a plugin like HTTPS Everywhere to ensure you connect via HTTPS as often as possible. Some padlocks also feature a companyfs name beside it (like PayPal, Inc.). That means the company has an extended verification certificate, which provides the strongest encryption level available (and requires more rigorous testing and validation). You can add an extra layer of encryption to your data by browsing through a Virtual Private Network (VPN). gThe first thing Ifd recommend to the average person on the street is whenever youfre out in the publiccuse a VPN service,h says former gMost Wanted Hackerh Kevin Mitnick in an interview. Also, put your data in the hands of technology companies that encrypt it. Edward Snowden, for example, recommends using SpiderOak instead of Dropbox (or at least protect your Dropbox folders with Truecrypt). You could use DuckDuckGo instead of Google. (If you miss Googlefs powerful search algorithm, just use the !g function in DuckDuckGo.) Chat with OTR instead of Skype. There are tons of alternatives that likely protect your data better than the software youfre using. Have a look at this privacy pack put together by Reset the Net. Keep your eyes peeled for technology that uses end-to-end encryption. End-to-end encryption ensures that your data only gets decrypted once itfs opened by the recipient, meaning that the technology companies wouldnft be able to read the data in transit even if they were forced to pass it along to the government. You know itfs probably effective as the FBI and Department of Justice want companies to ease off end-to-end encryption. How do the pros protect their information? Itfs tough to find people that protect their privacy well as they donft tend to advertise themselves online. There are certain experts like journalists and security specialists that work with sensitive information. As such, theyfve set up systems to protect their information as much as possible. You can use their methods to set up a more secure system of your own. The NSA canft read the information on your computer if youfve never been connected to the Internet. If you have extremely sensitive information, consider investing in a computer thatfs never touched the Internet (known as an gairgaph). Since I started working with the Snowden documents, I bought a new computer that has never been connected to the Internet. If I want to transfer a file, I encrypt the file on the secure computer and walk it over to my Internet computer, using a USB stick. To decrypt something, I reverse the process. This might not be bulletproof, but itfs pretty good. If you plan to use an airgap, you might also want to remove any network chips, bluetooth chips, or even microphones and webcams from your new computer before using it. Along a similar vein, you could also use an operating system thatfs bootable from a USB drive, and browse incognito. Tails is an operating system which forgets your activities after you unplug. Journalists working with Edward Snowden relied on it for secure communication. Tails allows you to use GPG encryption when you are emailing and/or OTR encryption while instant messaging, with little setup required. These types of encryption come recommended by CDTfs senior staff technologist, Joe Hall. Tor offers a great degree of anonymity and privacy by encrypting your Internet connection and sending it through three servers placed around the globe. If you have some sensitive information that you want to share with the press, use an encrypted service like SecureDrop. Therefs a lot of information in this piece. Donft drive yourself crazy with paranoia. Just remember that it all starts with making your information a bit more difficult to read through encryption. Use software that has end-to-end encryption built-in. VPNs are a simple solution that quickly ensure your information is at least a bit more challenging to read. 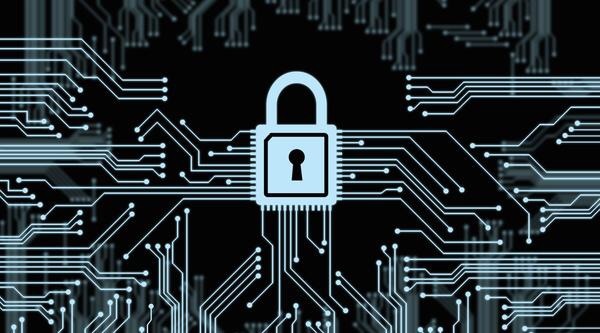 If you ever do want to turn your privacy up a notch, encrypt emails with crypto technology and use airgaps and encryption-focused operating systems. Even if you have nothing to hide, you have the right to privacy. Itfs your responsibility to protect it while you still can. Arthur Baxter is an Operations Network Analyst at ExpressVPN, a VPN provider offering over 97 different servers in 78 countries. • May 19-31, 2016 – Celebrity Equinox 12-Night Eastern Mediterranean Cruise from Rome to Barcelona. Stops on Amalfi coast (Salerno) and at Sicily, Athens, Santorini and Mykonos, Greece, and Istanbul and Ephesus, Turkey. Veranda cabins $2,336.40 per person, double occupancy. Other categories available. Optional travel insurance, air and gratuities not included. Deposit $450 per person. Hosted by Bill and Judy Blackburn. For more information, call Earth Travel Pals at 843-222-5839. • Oct. 1-11, 2016 – 11-day Historic Trains of the Old West with Albuquerque Balloon Fiesta. Start in Denver with an overnight at the historic 1893 Hotel Colorado. Travel to Durango and take a scenic ride through the San Juan National Forest on a legendary stream train. Admire the cliff dwellings in Mesa Verde National Park. Visit the 1,100 year old city of Taos, N.M., and the famous Royal Gorge. In Colorado Springs enjoy a train journey on the cog railway to Pikes Peak. Spend two days at the Albuquerque International Balloon Fiesta, the largest ballooning event in the world. Land tour cost $2,934 per person, double occupancy. Optional travel insurance additional. Tour deposit $250 per person. Estimate air $550 per person. Hosted by Judy and Bill Blackburn. For more information, visit www.EarthTravelPals.com; call Judy at 843-222-5839 or email judy@earthtravelpals.com; call Kathy at 843-450-2032 or email kathy@earthtravelpals.com. · Oct. 21-28, 2016 – Ireland – Eight-day tour from $2,999 per person double occupancy that includes roundtrip airfare, six nights accommodation, luxury motor coach, tour manager throughout, full Irish breakfast daily, welcome dinner, one additional dinner, farewell dinner, sightseeing per itinerary (Achill Island, Connemara, Galway, Dublin, County Wicklow and Glendalough), fuel surcharges/air taxes up to $600. Membership in the OLLI@CCU program is required for this trip. Please contact the OLLI office at 843-349-2767 or 843-349-6584 for OLLI membership details. For more information and reservations, contact World Cultural Tours at 1-877-218- 8687, reference tour code: CCU009. • March 25-April 2, 2017 – Cuba's Charming Colonial Cities and Havana – People to People program. Experience the real Cuba with its colorful history and lively culture. Begins with one pre night in Miami with two nights in Camaguey, two nights in Trinidad and three nights in Havana. Included: eight nights hotel, eight breakfasts, seven lunches and six dinners, gratuities, airport transfers, round-trip air from Miami to Cuba, Cuban visa cost and required Cuban health insurance. Optional cancellation/health travel insurance available for additional $289. Cost is $4,333 per person double occupancy. Single supplement additional $545. Save your space for $250 deposit per person. Hosted by Kathy and Bruce Blackburn. To reserve or for more information, call Kathy at Earth Travel Pals at 843-450-2032 or email kathy@earthtravelpals.com. • New Lower Price - April 6, 2017 – Exclusively for OLLI members from around the USA – Old World Prague and the Blue Danube – 13 days, including international airfare from Myrtle Beach from $4,445 (12 days – River Cruise Tour only from $3,195). Additional departure cities are available. Included: Three nights in Prague at the moderate first-class Park hotel Praha or similar and eight nights aboard a private Grand Circle river ship in an outside cabin; 28 meals including a farewell reception and dinners; seven exclusive tours with personal headsets: Prague Old Town, Cesky Krumlov, Melk Abbey, Durnstein, Vienna, Bratislava, Budapest; Exclusive Discovery Series events; Apfelstrudel baking demonstration, home-hosted visit; school visit; airport transfers upon arrival and departure; all port charges; gratuities for local guides and motor coach drivers on your main trip, baggage handling for one piece luggage per person, including tips; 5 percent frequent traveler credit toward your next Grand Circle trip. For more information, contact Grand Circle Cruise Line at 800-597-2452, then press 2, please mention this booking code: G7-27123. · May 22-June 3, 2017 – 12-night Alaska Land and Sea Tour - Denali Explorer – Five nights from Fairbanks, Alaska, including two nights at the Denali National Park and two at Mt. McKinley Wilderness Lodge, with a seven-day Princess Cruise, Voyage of the Glaciers, with stops in Skagway, Juneau, Ketchikan and Hubbard Glacier Scenic Cruising, ending in Vancouver. Enjoy the beautiful spring blooms, enchanting wildlife and scenic views with a group from Myrtle Beach. Inside cabins, $2,156 per person; oceanview, $2,776 per person; balcony, $3,216 per person (all based on double occupancy). Single rates available. Estimated air from Myrtle Beach $900 per person. Hosted by Judy and Bill Blackburn. Contact Judy at 843-222-5839 or email Judy@EarthTravelPals.com. Device Tracking: Because they're unique, MAC addresses can be used to track you. When you walk around, your smartphone scans for nearby Wi-Fi networks and broadcasts its MAC address. A company named Renew London used trash bins in the city of London to track people's movements around the city based on their MAC addresses. Apple's iOS 8 will use a random MAC address each time it scans for nearby Wi-Fi networks to prevent this sort of tracking. Sponsors make free tips & tricks possible. Visit the above link to keep the free tips coming! Your Apple ID is the key to using your iCloud account and making purchases in the App and iTunes Stores. If you want to change your Apple ID, perhaps because it is an email address for an account you no longer use, you'll need to sign out of everywhere you use your Apple ID on all your iDevices. This includes the iTunes, iBooks, and App Store, Apple Music, FaceTime, iMessages, GameCenter, iCloud, Find My Friends, and Find My iPhone. Once you've signed in, click Edit in the Account section at the top of the page. Enter a new email account and tap continue. A verification code will be sent to your new email and a window will pop up telling you to enter a verification code. Open the email and find the verification code. Enter the code on the website and click Verify. Once your new ID is verified you can sign back in on your iDevices to all the services that require an Apple ID. If you forgot to sign out of any service before changing your Apple ID, you will need to sign out and sign in again. *Please note that Apple email addresses (those ending in @iCloud.com, @me.com, or @mac.com) are already Apple IDs, so if you want to use one as your ID, there is no need to make any changes to your Apple account. Did you enjoy this tip? Sign up here to get the tip of the day delivered right to your inbox. Got a Tip You Would Like to Share? Let Us Know.